We don't really have much to write about our time in Calgary. 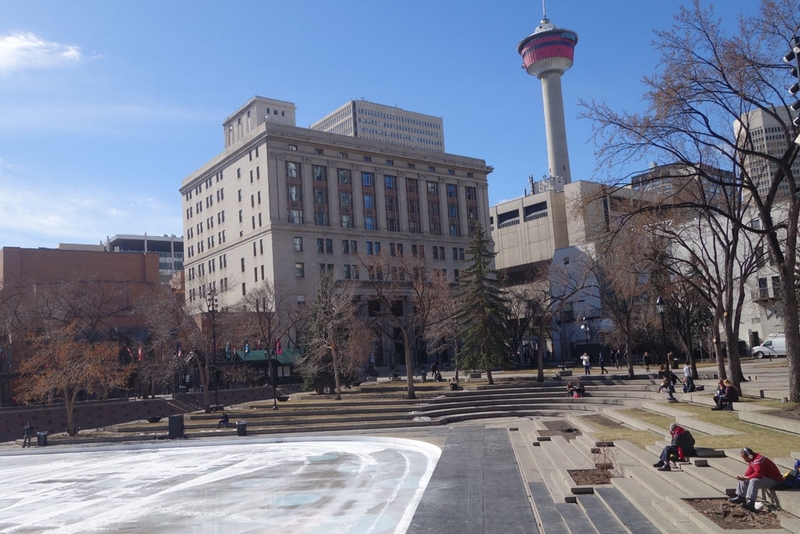 I don't know if that is because we didn't spend long enough there or we didn't know the right places to go or whether there actually isn't much to see or do in Calgary itself but if I'm honest, it wasn't the most thrilling city we have visited. 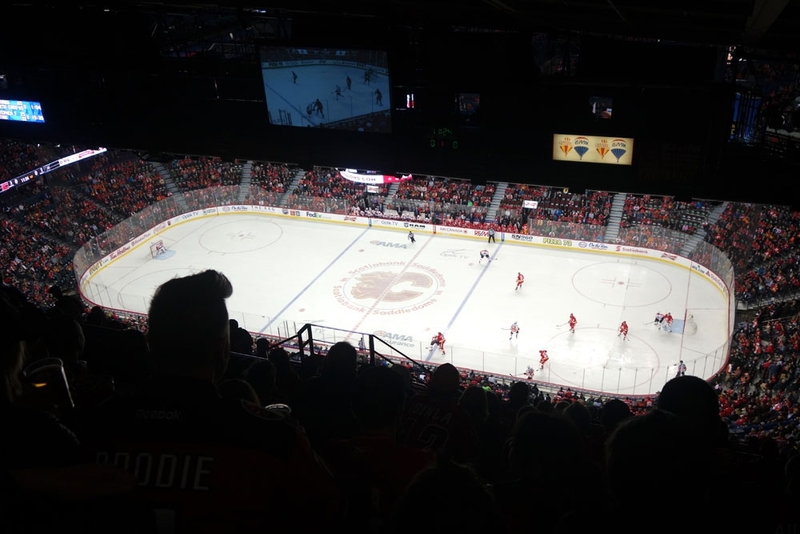 We ended up having two main tasks in Calgary; Trying to find me a new pair of walking shoes (more on that below) and watching an ice hockey match. The rest of the time was spent wandering the few main streets of the city centre, checking out a lot of malls and trying to stay awake to help with the jet lag. 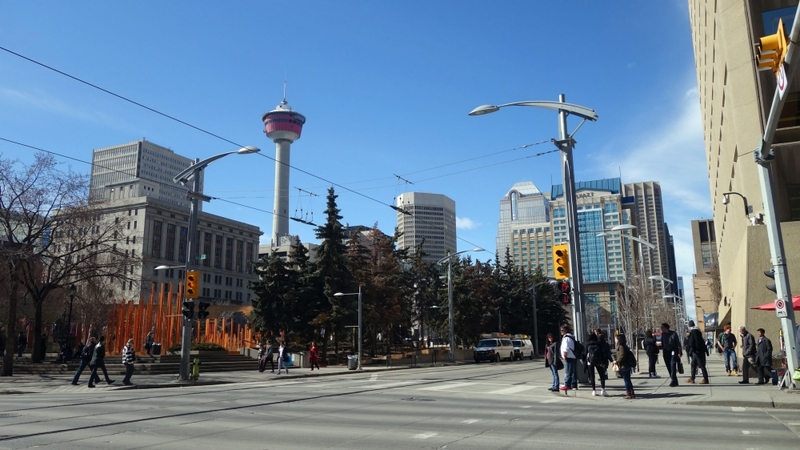 On arriving in Calgary on the first day, we went out to grab some food and during that trip I noticed that I was walking oddly. 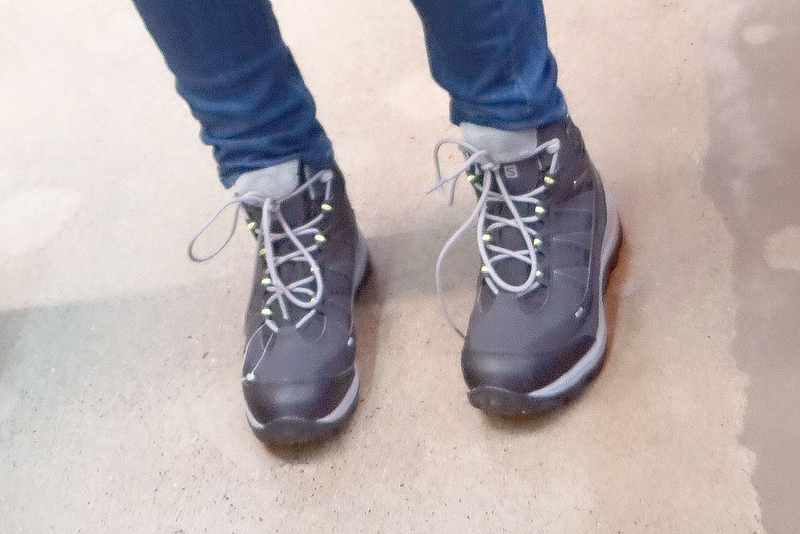 On looking down I realised that half of the heel of my boot had come off somewhere behind me! 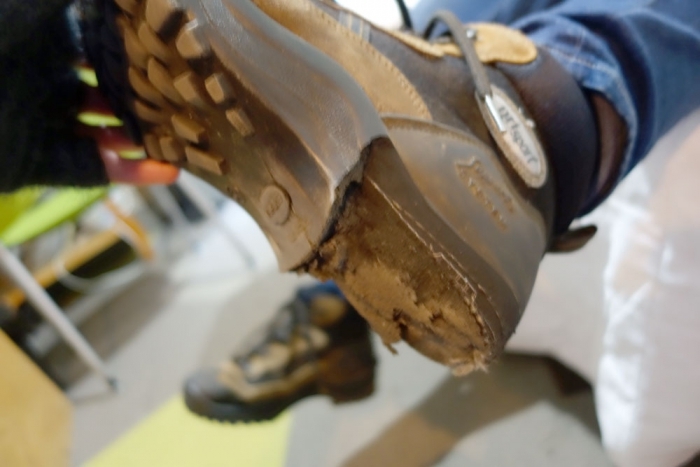 Before making it back to our hostel, the rest of that heel came completely off and the other boot's heel was cracked and about to disintegrate as well. One of our goals in Canada was to catch an ice hockey match and we only had a couple of options for the time we were visiting. We decided to watch the Calgary Flames as the timing worked better for us and the tickets were cheaper than watching a match in Vancouver. We walked easily from the city centre down to the stadium, following the throngs of fans clad in black and orange and it only took about 10mins. We found our seats (quite high up..my bad as I was in charge of booking them) but nonetheless we still had great views and enjoyed the atmosphere. About 30 mins in we were getting worried it was going to be a very polite game with no fighting or brawling but our fears were soon calmed when a huge fistfight broke out and some points started being won! The poor Philadelphia Flyers lost but I must say it was a great game and I would highly rate trying to see a match if you do visit Canada! We didn't actually realise there was a free tram in the city centre until our hostel told us so we are passing on this information. 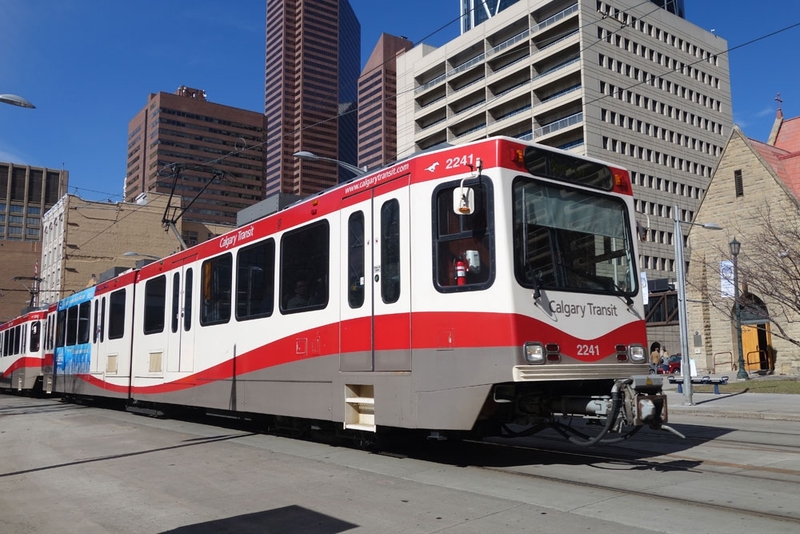 In the downtown area of Calgary you can get on the trams for free, you only need to get a ticket if you are travelling outside of this area which can save a lot of sore feet and time! After our brief stopover in Calgary it was time to get the Greyhound to Banff to enjoy some colder, snowier weather and beautiful scenery.